LR švietimo ir mokslo ministerijos Mokymosi visą gyvenimą departamento Pedagogų veiklos skyriaus vedėjos Vilmos Bačkiūtės pokalbis su JAV vyriausybės programos „English language fellow“ stipendininke Cristina Berry apie mokytojo veiklą ir vertinimą Jungtinėse Amerikos Valstijose. Cristina Berry yra pradinio ugdymo mokytoja iš Jungtinių Amerikos Valstijų. Ji taip pat turi anglų kaip užsienio kalbos mokytojos patirties: anglų kalbos ji mokė Čikagos priemiesčio mokyklose, be ankstyvojo ugdymo, mokė anglų kalbos ir suaugusiuosius – vizituojančius dėstytojus Niujorko Kolumbijos universitete, taip pat dirbo Kinijoje su anglų kalbos mokytojais. Ji yra įgijusi magistro laipsnį ir anglų kaip užsienio kalbos mokytojo kvalifikaciją. 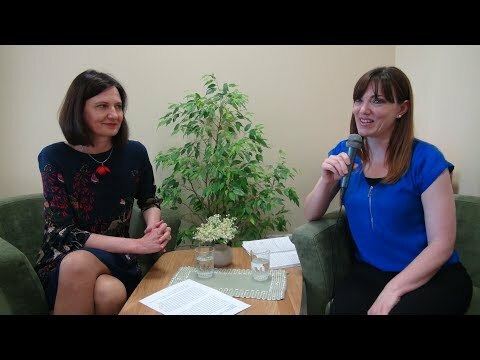 Lietuvoje Cristina dalyvauja JAV ambasados mainų programoje, dirba Švietimo ir mokslo ministerijoje asistente. Jos veikla apima anglų kalbos mokytojų kompetencijų tobulinimo sritį, tad ji glaudžiai bendradarbiauja su LAKMA. Cristina Berry is a primary school teacher from the U.S. She has thirteen years of experience teaching English as a second language in public schools near Chicago. In addition to teaching young learners, Cristina has taught English to visiting scholars at Columbia University in the city of New York and has trained English teachers in Beijing, China. Cristina holds a master's degree in TESOL (Teaching English to Speakers of Other Languages) and is currently an English Language Fellow in Lithuania. She works closely with LAKMA and provides training to teachers throughout the country as a participant of an exchange program through the U.S. State Department’s Bureau of Educational and Cultural Affairs. 2018 m. gegužės 10 d., Vilnius. So, I have introduced you, Cristina, to the audience. Now probably I'll give you the very first question that is directly related to our topic in this interview. So, in your opinion, why is teacher evaluation so important? And is it important? First of all, I want to thank you very much for inviting me to be a part of this discussion. It’s my honor to be able to work with you and with the Ministry (of Education and Science) and with the teachers here in Lithuania to share my experience and to learn from things that are happening here as well. Teacher evaluation is incredibly important. There are two main things that I want to talk about- two major benefits. The first is the benefit on the societal level. Education, as you know, is a system that has been designed to help us to ensure that our children, our students are responsible and productive members of society, and we want to make sure that they are com-petitive on the world stage. Taxpayers are the ones investing in this system and we want to make sure that there’s a plan involved to ensure that the quality of education is high throughout the entire country. And you want to make sure that taxpayers, as stakeholders, are confident that what they are investing in is something that will produce great results in the future. Teacher evaluation is a way to make sure that everyone understands the expectations, including teach-ers, administrators and students. It’s incredibly important to make sure that the standards of edu-cators is high and that everyone is accountable (for their role). I’ve been evaluated a number of times. Every time that I enter a new environment, I’m evaluated. It’s not always a comfortable process. I don’t always enjoy it, to be honest. I’m sure that is large a part of the reservation that teachers have, but the reality is that the evaluation process is so beneficial to becoming better at your craft. Even some of the best athletes in the world - world-class athletes - have trainers. They have a team of people that provide them with feedback and help them to get better. I think it’s really important to have a sense of accountability, to have someone to reflect with to make sure that what you’re doing is always improving. Again, it doesn’t always feel great during the process, but the process is incredibly important. I’m extremely grateful that I’ve had the oppor-tunity to be evaluated in so many different environments because it really helps me be a more well-rounded teacher, whether I’m working with adults, or with children, teenagers and other teachers. Thank you very much. Also, I have a more practical question probably to ask. Because in Lithu-ania, recently, we discuss a lot about the value of teacher evaluation. Also, I understand the teachers’ concerns about the process as well. I believe that deep in their hearts Lithuanian teachers also think that evaluation is also an opportunity to reflect and get feedback. But on the other hand, as you mentioned, it's not always a pleasant process. So, could you please briefly describe the process itself? How does it actually work in American schools? In the United States of America, there are 50 million students in public schools, so the federal government doesn’t play a large role in developing educational policy. They leave that up to in-dividual states. The state I’m from is Illinois. In the state of Illinois there are about 2 million stu-dents in public school and about 1,000 public school districts, so you can imagine that it’s difficult to have a universal evaluation plan employed throughout. Each district, I believe here you call them municipalities, is responsible for developing its own criteria for teacher evaluation. What happens is that the state sets the standards including the number of evaluations teachers are held accountable for and then the districts devise a plan that best measures where their teachers are and develops a plan for moving teachers forward. This plan must be approved by the state board of education. Many districts model their evaluation plan on what other districts are doing or they purchase a program through consultants from various companies or organizations. What I can tell you is that these plans are all pretty similar. It’s standard practice that a new teacher have about six evaluations in one year. If you’re a new teacher, the first four years are basically a provisional period. For four years, you are evaluated about six times. Three of those evalua-tions are formal. So you sit down with your principal before your evaluation. You talk about what your principal will observe and the development of the lesson. You talk about certain challenges you think may arise during your lesson and how you will overcome those challenges, and you set up a time for your principal to come and observe your lesson. The principal typically comes into a teacher’s classroom for between half an hour to an hour and watches what’s going on. He or she takes notes throughout the observation and then you schedule a follow-up appointment. The principal talks with you about what he/she observes and asks the teacher about how he/she feels the observation went. You type up your own reflection and bring that to this follow up meeting. So, for each of the formal observations, there are two sessions in which you meet with the principal in addition to a classroom observation. These are the more intimidating evalua-tions— there are also about three informal evaluations throughout the year as well. For these evaluations, your principal will pop in any time. Usually, they’ll give you a window. They’ll say, “I’ll be in some time in the next couple of days or some time next week.” This is to give you a heads up because they want you to feel comfortable with their coming in, but they don’t neces-sarily have to do that. They can come in (to your classroom) at any time, observe your lesson, type up a reflection and talk with you. This is typical. For the first four years, this is the standard evaluation practice in the state of Illinois, but some districts get required more teacher observa-tions. Some districts require their teachers be evaluated about 13-14 times a year, with 3-4 for-mal visits and many more pop-in visits. This is a little bit intimidating. It’s pretty standard to be visited, to be observed, and to reflect upon your lesson about six times for the first four years. After that provisional period, you receive something called “tenure.” I think this is similar to your process here in Lithuania. You're offered a contract each year, but your job security is pretty tight. After those first four years when you’ve been observed multiple times, the principal decides whether a new teacher is professional and worth keeping on the payroll. If a teacher receives tenure, his/her job security is pretty much set. That does not mean they are exempt from being evaluated. Tenured teacher are still observed every other year, but the process is a bit different. Usually, they’re evaluated based on a project that they’re working on with their students or on curriculum that they’re working on or developing. It’s not necessarily about instruction. It’s about what they’re contributing professionally to the school. You actually mentioned that the principal has the key role in observation process. So, it's natural probably that the school administration needs to recognize the quality of teaching, but also give support to teachers when they need that. So, could you also give a hint of the principal's role in not only the process, but also assisting the teachers within the evaluation procedures or with the evaluation feedback? What is the principal's role? How do they act, react, or use evaluation re-sults? A principal’s primary role (in evaluation) is to ensure that they’re giving quality feedback to teachers. They need to have their finger on the pulse of the school. They need to know what’s going on, what type of learning is happening. They need to know what resources are available. They need to know the experience student are having. They also have to have a clear vision of what they want for the school. That way, during the evaluation process, the principal can always refer back to the school’s mission statement and to the district’s standards for what a teacher should be doing in the classroom and how they should be conducting themselves professionally. When a principal has a clear understanding of this vision, he/she can’t pull any punches. It’s clear what’s expected, and what a teacher must to be in compliance with meeting the school’s vision. The principal really needs to have a clear understanding of what’s expected from their teachers. An effective evaluation tool will greatly facilitate the conversation between principals and teach-ers when they’re being evaluated. I also want to add that an evaluation process actually protects teachers, as well as principals. One of the concerns teachers have is, “Will these evaluations be used against us?” The answer to that question is, “No.” The principal has to follow certain proce-dures. They have to be transparent about their thoughts on teacher performance through their feedback. If the teachers are not performing at a level they deem satisfactory, the principal is responsible for providing professional development to those teachers. And if the principal can’t prove that he/she has gone through the procedures necessary to help a teacher improve, to be-come a better professional, the teacher is protected. The teachers can go to the union and say, “There was no evidence that my principal was concerned about my performance in my evalua-tion. There is absolutely no reason for my dismissal.” The evaluation process can protect teachers in that way. It also protects principals. If teachers don’t accept feedback or if they don’t improve after receiving multiple opportunities to have done so, a principal can say that this teacher is not helping us reach our vision. He/she has fallen short in these specific areas and they’re not a good fit for our school. While evaluations seem like something that might work against teachers, they are actually something that works FOR teachers, the good teachers, the ones that know they’re doing a good job and are growing. Evaluations aren’t punitive. The pur-pose of an evaluation isn’t to label you as a “good” teacher or a “bad” teacher, but to take you from where you are to the next level. And if a teacher isn’t willing to move themselves to the next level, I don’t think that’s somebody that should be entrusted with the responsibility to work with young minds. This was very convincing, at least for me. But you might know by now that in Lithuania we don't have mandatory teacher performance evaluation. We have a process that is voluntary to go through to get a higher category as a qualified teacher. And we are in a period when there's both a will and also a push towards mandatory teacher evaluation in Lithuania. I know that you worked in China. Maybe you also worked with other countries. Some countries recently, espe-cially in Scandinavia, such country as Finland actually retreated from mandatory evaluation, as they increased, as I understand, requirements for teachers; and they made a decision to trust teachers as professionals without gathering feedback and without evaluating them formally. An-yway, it seems that in Lithuania we are going towards mandatory teacher performance evalua-tion. So, with all your experience in other countries, and now in Lithuania, what are your recom-mendations, say, to policy makers or to teachers and principals in Lithuania? What can we learn from the States or other countries while introducing mandatory teacher performance evaluation? There’s a lot to unpack there. I’ve been in Lithuania for about eight months now and I have to admit that I was actually shocked to learn that there isn’t a mandatory evaluation process already in place. In speaking with other consultants that have been here working with the Ministry—talking about what’s happening throughout the European Union— many share my sentiment that it’s shocking that there isn’t some sort of teacher evaluation plan. This is something that’s incred-ibly important. When I talk with people here, teachers, students, citizens, I find that people in general are less than impressed with the quality of instruction. It still seems that there is still this “sage on the stage” mindset. Teachers are the holders of the information. They know the content and they see their role as being a conduit to impart knowledge to students. I'm sure it’s not like that everywhere, and I’ve worked with some really dynamic teachers that follow a different method, but that seems to be the general sense. The “sage on the stage” method of instruction worked during industrial times, when people had a simple task that needed to be accomplished, when there was often a foreman or a supervisor telling workers what to do and workers simply followed directions. But now, the world is such a different place. It’s the age of information. Content is something that students can receive with the click of a button. Everything is available on the internet. There are tutorial videos. There are multiple resources where you can find quality information on any topic. This idea that the teacher imparts knowledge of content to students needs to change. We’re in the 21st century. Twenty first century skills include collaboration, problem-solving, finding quality resources. These are things I’ve been evaluated on since I was a student at university. Since 2000, I’ve been evaluated, not only of my knowledge of content, but on competencies such as: demonstrating knowledge of students, demonstrating the ability to be reflective about one’s teaching, contributing professionally, communicating effectively with colleagues, communicating with parents. Because we’ve been evaluated on these things for decades now, it’s become natural for educators in the United States of America to develop all of these competencies. Teachers are expected to know more than content. We’re expected to be collaborators, problem-solvers, people that know about a number of resources and inspire stu-dents to do the same. In order to model these things for students, it’s important to have an evalu-ation system that helps us develop these skills ourselves. Going back to my reference earlier about professional athletes- these people are the best of the best, and they still need to reflect upon certain areas of their craft to get better. Some of these things are already happening in Lithuania. Teachers are already being reflective. They’re already knowledgeable about re-sources, but I think there is a lot of room for improvement in those areas. Having an evaluation tool that encompasses all the different areas of teacher competencies is really going to im-prove—I think will revolutionize—education in general here. Teachers would be modeling these twenty first century skills for students. I mean, we’re already two decades into the twenty first century. We need to be sure that teachers here feel comfortable employing those skills and modeling them for students. Going back to what you were saying about some of the Scandina-vian countries, I’m not well versed in the research and the methods that are used in Scandinavia, but I would assume that these types of things have already become second nature to educators: project-based learning, collaboration, use of technology. Maybe they’re ready to move away from an evaluation process. I’d love to see that happen in the U.S. as well, but it’s a process. From where Lithuania is right now in terms of the delivery of instruction, the set of criteria ex-pected from teachers, I think a structured teacher evaluation would really help develop those teacher competencies. The dream is to follow the model of Scandinavia, but it’s important to start where Lithuania is, strengthen some of these competencies, and move forward in the fu-ture. That would be my recommendation to the Ministry. Whether it develops an evaluation tool for the entire country, or whether the Ministry decides that the municipalities will develop their own tools, it’s incredibly important that the tool encompasses a multitude of teacher competencies- beyond content knowledge. It should definitely include some of those things that I mentioned earlier. I think that if the Ministry is asking the municipalities to develop an evaluation tool, that they’re providing examples of the types of tools that they would like to see. I think part of the problem for teachers sometimes is that policies are made on a higher level and we’re told to do something as a school or as a district, but we don’t always know exactly what’s expected of us. I think providing examples for municipalities to follow is important. Some schools in Lithuania do currently evaluate teachers. Maybe those models can be used for other municipalities or models can be used from other countries. Again, it’s important that the Ministry provide examples so that those that developing evaluation tools know exactly what they’re looking for. There was one more thought that I had…It’s very important that the Ministry get input from teachers. When you do decide to roll out an evaluation tool, I think it’s really important to get some feedback from teacher and principals and teachers about the logistics of things. How in-tensive is this process? Is this process really something we can achieve? It is practical. How can we work through some of the logistical pieces before we implement this evaluation plan? This is great. Thank you. And, probably, to round up our interview I have one more question to you as a former teacher. (But they say there are no former teachers. Everyone who is a teacher is a teacher no matter whether they stand in front of the classroom or not.) So, as a teacher, could you share with Lithuanian colleagues those, probably, wisdoms that you developed throughout your career? How to use whatever evaluation is coming your direction for the best, for the benefit, rather than for any other things? I have a couple of specific examples of how teacher evaluation improved my instruction. The first story goes back to my first year of teaching. My principal at the time was very very thor-ough. She wanted to look through my lesson plans, and they were not up to par—not up to her standards. She expected that a teacher’s plans for the day be so detailed that anyone could walk in on a moment’s notice and teach the class. Mine were just bullet points. There was a big idea, a couple of activities and some materials. She wanted something that was a lot more de-veloped. To be honest, it felt like a punch to the stomach. I did know that my lesson plans need-ed a bit of work, but they seemed to be doing the job. Students seemed to enjoy them. They were scoring well on tests. It seemed that she was being very critical of my lesson plans. I’ll never forget her feedback. I still remember it. The fact that she held me to such a high standard really did help me improve my lesson planning skills. I’ve been teaching for about 13-14 years and even up to last year, my lessons were so detailed. I didn’t always follow my lesson plan to a T. I always knew, well I KNOW, exactly what my objective for a lesson is; I know exactly which materials I’m using and how to manage my time. Her feedback really did improve the quality of my teaching. Two more examples. I was teaching adults in New York, and I was being ob-served by my supervisor. Based on prior feedback, my lessons were so well thought out and so well delivered. My instruction was precision. My supervisor noticed this and commented on it in my feedback. She said, “What you’re doing is great, but what’s your theme?” I took a skill, like the use of the present continuous, and I developed all these lessons. I found activities online that pertained to use of the skill, but I was losing students. It was a voluntary course. I was losing students because it wasn’t very interesting for them to drill skills. I didn’t have a theme. Had I chosen a theme, I could have chosen authentic materials such as speeches, music, podcasts, etc. Now when I design my instruction in terms of a theme, it changes everything. It makes it so much more interesting to find materials. It’s makes it interesting for students to work on some-thing bigger, rather than drilling drilling drilling grammar points. I remember that. These are spe-cific examples that have changed my instruction. I have one more. My last principal’s feedback really helped me with classroom management. In the US, we are expected at any given time to have about four or five different activities going on in our classroom. It’s a lot. All of these activi-ties need to be meaningful and they need to be at different student levels. Many students work independently while the teacher works at a table with a small group. That’s what the majority of your day looks like now as a teacher in the US. You can imagine that you need a tight manage-ment system to make sure that all materials are accessible to students, that all the expectations are in place, that every student has a plan, that they’re working independently and on task. You can imagine it’s an amazing feat to manage the classroom while working with students. My prin-cipal observed me and was pleased with my performance, in general. He did notice that there were a few things that I definitely could have done better in terms of making materials accessible to students or keeping track of what students were working on while I was working with a small group. There were many things that I needed to understand about management to make this system work, so he referred me to other teachers to show me great examples of some of the things they were doing. He gave me some books and links to videos to help improve my man-agement systems and it totally worked. It turned everything around. I feel that if I after teaching successfully in that environment, I can teach anything anywhere. Teachers here in Lithuania have legitimate concerns about evaluation. I wouldn’t tell teachers not to worry about anything. The process is uncomfortable. Any time something is uncomforta-ble, you naturally want to resist it, but I think that if you really do want to get better…if you think back on any experience in your life whether it was learning to play an instrument or to pass a class or to be accepted by a university, anything you had to work through was worth the effort. If you want to be a great teacher, if you want to be sure you’re contributing to your society and your community, you have to put in the work. The process is going to be uncomfortable at times, but it’s worth it. I think these are exciting times for education in Lithuania because a lot of change can take place over the next few years. It’s a process and everyone has to be on board with the idea that they’re going to push through it. So, as you said at the beginning of our talk, there's always space for improvement, and while you brush up one thing, probably you neglect another. So feedback and evaluation would help you to become better and better in your career. So, I'm sure that those, who watch our interview, will reflect on your thoughts and examples; and definitely, nationally, we'll have continuous dis-cussions and consultations on teacher performance evaluation. I'm sure that in some discussions we'll quote you sometimes using your examples. Thank you for sharing your experience and ideas. Cristina, pristačiau Jus mūsų klausytojams ir dabar užduosiu Jums pirmąjį klausimą, kuris tiesio-giai susijęs su mūsų pokalbio tema. Kodėl, Jūsų nuomone, mokytojo veiklos vertinimas yra svar-bus? Ar jis yra svarbus? Visų pirma, noriu padėkoti už kvietimą dalyvauti šioje diskusijoje. Man didelė garbė turėti gali-mybę dirbti su jumis ir Švietimo ir mokslo ministerija bei su Lietuvos mokytojais – dalytis savo patirtimi ir tuo pat metu mokytis iš čia vykstančių procesų. Mokytojų vertinimas yra nepaprastai svarbus. Yra du pagrindiniai dalykai, apie kuriuos norėčiau pakalbėti, tai – dvi esminės naudos. Pirmoji nauda – nauda visuomenei. Švietimas, kaip žinome, tai sistema, sukurta, kad padėtų užtikrinti, jog mūsų vaikai, mokiniai taptų atsakingais ir produk-tyviais visuomenės nariais, ir mes norime užtikrinti jų gebėjimus konkuruoti pasaulyje. Mokesčių mokėtojai investuoja į šią sistemą, norėdami būti tikri, kad esama kažkokių priemonių ar plano, padedančių švietimo kokybę užtikrinti visoje šalyje. Ir norisi, kad mokesčių mokėtojai, kaip gru-pė, turinti interesą dėl švietimo, būtų tikra, kad šios investicijos ateityje atsipirks, duos gerų re-zultatų. Mokytojų veiklos vertinimas – vienas iš būdų užtikrinti, kad visi suprastų mokesčių mokėtojų lū-kesčius, įskaitant mokytojus, mokyklų vadovus ir mokinius. Nepaprastai svarbu užtikrinti aukštą mokytojų darbo kokybę ir kiekvieno atskaitomybę už savo atliekamas funkcijas. Mano pačios veikla buvo vertinta daugybę kartų, kaskart man įžengus į naują veiklos sritį. Jeigu sąžiningai, tai ne visada būdavo malonu. Žinau, kad mokytojai turi didelį nenorą būti vertinami, bet tikrovėje šis vertinimo procesas duoda daug naudos, nes padeda tobulėti kaip profesionalui. Juk netgi aukš-čiausio lygio sportininkai atletai – pasaulinio lygio atletai – turi trenerius, komandą žmonių, tei-kiančių jiems grįžtamąjį ryšį ir padedančių tapti dar geresniais atletais. Manau, kad svarbu jausti, jog privalai atsiskaityti, turėti kažką, su kuo galėtum reflektuoti, užsitikrinti, kad tai, ką darai, da-rai vis geriau. Vėlgi, ne visada tai malonus procesas, bet šis procesas yra nepaprastai svarbus. Esu labai dėkinga už tai, kad turėjau galimybę būti vertinama įvairiose aplinkose, nes tai tikrai padeda man būti įvairiapusiška mokytoja, dirbant tiek su suaugusiaisiais, tiek su vaikais, paaugliais ar ki-tais mokytojais. Labai ačiū. Aš turiu paklausti ir galbūt labiau praktinio klausimo, kadangi Lietuvoje pastaruoju metu mes daug diskutuojame apie mokytojų veiklos vertinimo naudą. Aš taip pat suprantu moky-tojų susirūpinimą dėl vertinimo proceso ir tikiu, kad giliai širdyje jie sutinka, kad vertinimas yra galimybė ir reflektuoti, ir gauti grįžtamąjį ryšį. Bet iš kitos pusės, kaip Jūs minėjote, tai ne visada malonus procesas. Taigi, prašau trumpai papasakoti apie patį procesą. Kaip praktiškai vyksta ver-tinimas amerikietiškose mokyklose? Jungtinėse Amerikos Valstijose 50 milijonų mokinių mokosi valstybinėse mokyklose, taigi federa-linė valdžia vaidina nedidelį vaidmenį švietimo politikos tobulinimo srityje. Veikiau tai paliekama konkrečioms valstijoms. Aš atvykau iš Ilinojaus valstijos, kurioje apie 2 mln. mokinių mokosi valstybinėse mokyklose ir apie 1 mln. – apygardų valstybinėse, taigi sunku įsivaizduoti, kad galė-tų būti kažkoks universalus mokytojų veiklos vertinimo planas, tinkantis visur ir visiems. Kiekvie-na apygarda, čia, manau, jūs jas vadinate savivaldybėmis, atsakinga už savo kriterijų mokytojų veiklai vertinti parengimą. Taigi, valstija nustato standartus, kuriuose be kitų dalykų yra numatyta ir privalomų mokytojo veiklos vertinimo procedūrų skaičius, taip pat ir konkrečios apygardos „mechanizmą“ arba priemonių planą, kuris geriausiai padeda pamatuoti (įvertinti) esamą mokytojų kokybę ir parengia tolesnio jų tobulinimo planą. Pastarąjį privalo patvirtinti valstijos švietimo ta-ryba. Daugybė apygardų modeliuoja savo mokytojų vertinimo planą, pasižiūrėjusios į kitų apy-gardų planus, arba perka įvairių organizacijų, konsultantų paslaugas tokiam planui ar programai parengti. Galiu tik pasakyti, kad šie apygardų mokytojų vertinimo planai gana panašūs. Įprasta praktika: jeigu esate naujas mokytojas, pirmieji ketveri darbo metai bus jūsų bandomasis laikotarpis, per kurį dažniausiai būsite vertinamas šešis kartus. Trys iš šių vertinimų yra formalūs, tai yra vyksta vadovo ir mokytojo pokalbis, kurio metu aptariama, į ką vadovas, stebėdamas mo-kytojo veiklą, kreips dėmesį, koks bus pamokos turinys, struktūra. Kalbamasi apie sunkumus, ku-rių, mokytojo nuomone, gali kilti stebimos pamokos metu, ir kaip jis ketina su jais susidoroti, taip pat numatomas laikas, kada vadovas atvyks stebėti pamoką. Įprasta, kad vadovas ateina į moky-tojo klasę ir praleidžia joje nuo pusvalandžio iki valandos ir stebi, kas vyksta. Stebėsenos proceso metu vadovas užsirašo pastabas, paskui susitariama dėl susitikimo laiko grįžtamajam ryšiui. Va-dovas pasako mokytojui, ką jis pastebėjo, ir prašo, kad mokytojas pasakytų savo nuomonę apie stebėjimą. Prieš šį susitikimą mokytojas parašo savo refleksiją ir taip pat atsineša į šį susitikimą. Po kiekvienos formalios stebėsenos būna du susitikimai su vadovu, ir jų mokytojas laukia su ne-rimu. Taip pat per metus mokytojas apie tris kartus vertinamas neformaliai. Tai reiškia, kad vadovas į klasę gali staiga užeiti bet kuriuo metu. Dažniausiai jis užsimena apie tai, kada apytikriai užsuks. Pavyzdžiui, vadovas gali pasakyti: „Užsuksiu per ateinančias porą dienų arba kažkada ateinančią savaitę.“ Jis taip daro, siekdamas mokytoją padrąsinti, nes nori, kad mokytojas nejaustų įtampos dėl jo apsilankymo, bet šios užuominos neprivalomos. Vadovas gali užeiti į mokytojo klasę kada panorėjęs, stebėti jo pamoką, aprašyti savo įžvalgas ir kalbėtis su mokytoju. Tai tipiška situacija. Tai įprasta vertinimo praktika per pirmus ketverius mokytojo darbo metus Ilinojaus valstijoje, bet kai kurios apygardos pradėjo reikalauti atlikti daugiau stebėsenos. Kai kuriose apygardose nusta-tyti reikalavimai mokytojus vertinti apie 13–14 kartų per metus, įskaitant 3–4 formalius vertini-mus (stebėsenas), norima daug daugiau neformalių vadovų apsilankymų. Tai šiek tiek neramina. Gana įprasta, kad per pirmų ketverių metų darbo laikotarpį vadovas šešis kartus apsilanko, stebi pamokas, po to jos aptariamos. Po šio bandomojo laikotarpio mokytojas gauna teisę gauti etatą. Manau, panašiai yra ir čia, Lietuvoje. Mokytojui pasiūloma kasmet pasirašyti sutartį, bet dėl darbo vietos jis jaučiasi esąs saugus. Po tų ketverių stebėjimo metų vadovas nusprendžia, ar naujasis mokytojas yra profesionalas ir vertas algalapio eilutės. Jeigu mokytojas „tampa etatiniu“, dėl dar-bo jis gana užtikrintas, bet tai nereiškia, kad jis bus atleistas nuo vertinimo. Gavęs etatą mokytojas irgi vertinamas kas antrus metus, bet šis procesas kiek kitoks. Paprastai etatinių mokytojų vertini-mas grindžiamas projektų, kuriuos jie vykdo su savo mokiniais, vertinimu arba ugdymo progra-mos, kurią jie įgyvendina arba rengia, vertinimu. Vertinama veikla nebūtinai susijusi su mokymu klasėje / pamokoje. Tai veikla, susijusi su mokytojo profesiniu indėliu į mokyklos bendruomenės gyvenimą. Jūs paminėjote, kad mokyklos vadovas vaidina esminį vaidmenį veiklos stebėjimo procese. Taigi, tikriausiai natūralu, kad mokyklos administracija turi atpažinti kokybišką ugdymą, bet taip pat ir suteikti pagalbą mokytojams, kai jiems jos reikia. Ar galite paminėti, koks vadovo vaidmuo ne tik stebėjimo procese, bet ir teikiant pagalbą mokytojams, kai jie yra vertinami ar gauna grįžtamąjį ryšį? Kaip vadovai elgiasi, kokių veiksmų imasi, kaip naudoja vertinimo rezultatus? Svarbiausias vadovo vaidmuo (atliekant vertinimą) – užtikrinti, kad po vertinimo būtų kokybiškas grįžtamasis ryšys tarp mokytojų ir vertintojų. Vadovai turi nuolat sekti mokyklos pulsą. Jiems rei-kia žinoti, kas vyksta mokykloje, kaip ir kokia forma joje mokomasi. Jie turi žinoti, kokiais ištek-liais mokykla disponuoja, kokių patirčių mokiniai įgyja. Jie taip pat turi turėti aiškią mokyklos viziją. Taigi, mokyklos vadovas mokytojo veiklos vertinimo procese visada gali remtis mokyklos misijos apibrėžtimi, taip pat apygardos standartais, numatančiais, ką mokytojas privalėtų daryti klasėje ir kokia turėtų būti jo – profesionalo – elgsena. Vadovas, aiškiai įsivaizduojantis šiuos da-lykus, neturėtų patirti jokių sunkumų, nes yra aišku, ko tikimasi, ir ką mokytojas, siekiantis, kad jo veikla derėtų prie mokyklos siekių, privalo daryti. Vadovui iš tikrųjų reikia aiškiai suvokti, ko jis tikisi iš savo mokytojų. Nors atrodo, kad vertinimo procedūros gali veikti prieš mokytojus, iš tikrųjų jos yra DĖL moky-tojų, dėl gerų mokytojų, dėl tokių, kurie gerai dirba ir tobulėja. Vertinimas nėra baudimas. Verti-nimo tikslas nėra prikabinti etiketę „geras“ mokytojas ar „blogas“ mokytojas, bet perkelti mokyto-ją iš to lygio, kuriame jis yra, į kitą. O jeigu mokytojas nenori judėti pirmyn, nemanau, kad tokiam asmeniui turėtų būti patikėta atsakomybė dirbti su jaunais protais. Tai skamba įtikinančiai, bent jau man. Bet tikriausiai jau žinote, kad Lietuvoje nėra privalomo mokytojų veiklos vertinimo. Mes turime tik procesą, kurį savanoriškai gali pasirinkti, kad gautum aukštesnę kvalifikacinę kategoriją. O šiame etape yra ir noro, ir „spaudimo“ pradėti privalomą mokytojų veiklos vertinimą Lietuvoje. Žinau, kad esate dirbusi Kinijoje, galbūt dirbote ir kitose valstybėse. Kai kurios valstybės šiuo metu, ypač Skandinavijoje, pavyzdžiui, Suomija, atsisako privalomo vertinimo, nes, kaip aš suprantu, jie didina reikalavimus mokytojams; ir nusprendė pasi-tikėti mokytojais kaip profesionalais be jokio formalaus grįžtamojo ryšio ar veiklos vertinimo. Vis tik atrodo, kad Lietuvoje mes renkamės privalomą mokytojų veiklos vertinimą. Taigi, remdamasi visa savo darbo patirtimi kitose valstybėse ir dabar Lietuvoje, ką rekomenduotumėte, pavyzdžiui, Lietuvos švietimo politikams ar mokytojams ir jų vadovams? Ko galėtume pasimokyti iš Valstijų ar kitų šalių, pereidami prie privalomo mokytojų veiklos vertinimo? Čia dar esama daugybė neaiškumo. Lietuvoje esu jau beveik aštuonis mėnesius ir turiu pripažinti, kad buvau tiesiog šokiruota, sužinojusi, kad čia vertinimas nėra privalomas. Kalbėdamasi su kitais konsultantais, dirbusiais čia, ministerijoje, besikalbėdama su tais, kurie dirbo kitur Europos Sąjun-goje, – galiu pasakyti, kad jie, kaip ir aš, pritrenkti fakto, kad čia nėra nieko panašaus į mokytojų vertinimo planą. O juk tai nepaprastai svarbu. Kiek teko kalbėtis su čia gyvenančiais žmonėmis, su mokytojais, studentais, priėjau prie išvados, kad, švelniai tariant, dabartinė ugdymo kokybė jų netenkina. Panašu, kad ligi šiol vis dar vado-vaujamasi nuostata „mokytojas – žinių perteikėjas“. Mokytojai disponuoja informacija. Mokytojai išmano dalyką ir galvoja, kad jų vaidmuo – būti žinių perteikėjais mokiniams, kurių žinios men-kesnės. Nemanau, kad taip galvojama visur, teko dirbti ir su labai dinamiškais mokytojais, taikan-čiais visiškai kitokius metodus, bet, atrodo, kad vis dėlto tokia nuostata yra dominuojanti. „Mokytojo – žinių perteikėjo“ filosofija tiko industrinėje epochoje, kai žmonės turėdavo atlikti nesudėtingas užduotis, kai dažniausiai meistras ar viršininkas pasakydavo darbuotojams, ką ir kaip reikia atlikti, o jie tiesiog vykdydavo gautus nurodymus. Bet nuo tada pasaulis smarkiai pa-sikeitė. Gyvename informacijos amžiuje. Informaciją mokiniai gali pasiekti vos paspaudę mygtu-ką, internete gali rasti visko, ko panorėję. Prikurta edukacinių vaizdajuosčių, esama daugybės į-vairiausių šaltinių, kur galima rasti informacijos bet kuria tema. Nuostatą, kad mokytojas perduo-da žinias mokiniams, būtina keisti. Gyvename XXI amžiuje, kuriame reikalingi šie gebėjimai: bendradarbiavimas, problemų sprendi-mas, kokybiškų išteklių paieška. Nuo pat mano studijų metų universitete būtent šie mano gebėji-mai būdavo vertinami. 2000 metais buvau vertinama, buvo vertinamos ne tik mano turimos žinios, ugdymo turinio išmanymas, bet tokios kompetencijos kaip gebėjimas pademonstruoti, atskleisti mokinių žinias ir įgūdžius, gebėjimas reflektuoti mokymo klausimais, profesinis įsitraukimas ir indėlis, veiksminga komunikacija su kolegomis, bendravimas su tėvais. Jau dešimtmečius šios mūsų kompetencijos būdavo vertinamos, todėl natūralu, kad JAV mokytojai jas nuolat tobulina. Tikimasi, kad mokytojų žinios ir gebėjimai peržengia programų turinio ribas. Tikimasi, kad moky-tojai geba bendradarbiauti, yra problemų sprendėjai, kad tai žmonės, mokantys naudotis įvairiais informacijos šaltiniais ir skatinantys mokinius daryti tą patį. Jeigu norime, kad mokiniai ugdytųsi šias kompetencijas, turime turėti mokytojų vertinimo sistemą, padedančią jiems patiems jas tobu-linti. Grįžkime prie mano anksčiau minėtos atletų profesionalų metaforos – šie žmonės yra geriausi iš geriausiųjų, bet netgi jiems reikia apmąstyti tam tikrus dalykus, jei nori tobulinti savo meistrišku-mą. Kai kas šioje srityje jau vyksta ir Lietuvoje, mokytojai jau reflektuoja. Jie jau susipažinę su įvairiais informacijos / išteklių šaltiniais, bet, manau, dar reikėtų stipriai tobulėti. Vertinimo inst-rumento, apimančio visas kompetencijas, kurias turėtų tobulinti mokytojas, taikymas ne tik kilste-lėtų kompetencijas į aukštesnį lygį, bet, manau, apskritai padarytų tikrą proveržį švietimo srityje. Mokytojai praktiškai modeliuotų šių XXI amžiaus kompetencijų ugdymo procesą. Tiesą sakant, mes jau dvi dešimtis metų gyvename XXI amžiuje. Turėtume užtikrinti, kad Lietu-vos mokytojai patys įvaldytų šias kompetencijas ir gebėtų mokinius vesti šiuo keliu. Jei kalbėtume apie tai, ką sakėte apie kai kurias Skandinavijos šalis, nesu gerai susipažinusi su ty-rimų rezultatais ir skandinavų ugdymo metodais, bet manau, kad šie dalykai jau bus tapę jų „ant-rąja prigimtimi“: projektų metodo taikymas, bendradarbiavimas, technologijų taikymas. Galbūt jie jau pribrendę atsisakyti vertinimo. Norėčiau būti liudininke, kai šitai atsitiks ir JAV, bet visa tai – procesas, kuriam reikia laiko. Atsižvelgdama į dabartinę Lietuvos situaciją, mokymo(si) praktiką, kriterijus, nustatytus mokyto-jams, manau, kad struktūruotas mokytojų vertinimas tikrai paskatintų reikiamų mokytojų kompe-tencijų tobulinimą. Galima svajoti sekti Skandinavijos šalių modeliu, bet Lietuvai svarbu pradėti procesą, sustiprinti kai kurias iš šių kompetencijų, o ateityje judėti į priekį. Tokia būtų mano rekomendacija šiai ministerijai. Ar būtų parengtas vertinimo instrumentas visai šaliai, ar ministerija nuspręstų, kad savivaldybės turės pasirengti savo vertinimo instrumentus, la-bai svarbu, kad šis instrumentas apimtų visą mokytojų kompetencijų spektrą, – išeitų už dalykinių kompetencijų ribų. Jis tikrai turėtų apimti ir kai kurias jau anksčiau mano minėtas kompetencijas. Manau, jeigu ministerija nuspręstų kreiptis į savivaldybes, prašydama jas pasirengti instrumentų mokytojų kompetencijoms vertinti, tai ji turėtų pateikti ir tokių instrumentų pavyzdžių. Mano galva, dalis problemos, su kuria susiduria mokytojai, kad kartais politika kuriama aukštesniame lygyje, o iš mokyklos ar savivaldos skyriaus pareikalaujama kažką atlikti, bet nei mokykla, nei savivaldybė dažnai nežino, ko gi iš tikrųjų tikimasi, kokie lūkesčiai. Manau, kad pateikti savival-dybėms pavyzdžių, į ką jos galėtų orientuotis, būtina. Kai kurios Lietuvos mokyklos jau vykdo mokytojų vertinimą. Galbūt šiais modeliais galėtų pasi-naudoti kitos savivaldybės arba galima būtų prisitaikyti kitų valstybių vertinimo modelių. Pasikar-tosiu, labai svarbu, kad ministerija pateiktų pavyzdžių, kad tie, kurie rengs vertinimo instrumen-tus, tiksliai žinotų, ką jie turi sukurti. Turėjau dar vieną mintį… Labai svarbu, kad ministerija palaikytų ryšį su mokytojais, girdėtų jų nuomones. Nusprendus pradėti diegti vertinimo instrumentą, manau, tikrai svarbu gauti grįžtamąjį ryšį iš mokytojų ir mokyklų vadovų apie pačią procedūrą. Kokio intensyvumo šis procesas? Ar jį iš tikrųjų įmanoma įgyvendinti? Ar sklandi atskirų vertinimo instrumento dalių logistika, dar nep-radėjus diegti šio vertinimo plano? Puiku, ačiū. Galbūt baigdama mūsų pokalbį galiu užduoti dar vieną klausimą Jums, kaip buvusiai mokytojai. (Nors sakoma, kad nėra buvusių mokytojų. Jei esi mokytojas, tai esi visada, nežiūrint, ar stovi prieš mokinius klasėje, ar ne.) Taigi, kaip mokytoja, ar galėtumėte pasidalyti su Lietuvos kolegomis išmintimi, kurią įgijote per savo karjerą? Kaip geriausiai pasinaudoti veiklos vertinimu, koks jis bebūtų, savo naudai, o ne kokiems nors kitiems tikslams? Turiu porą konkrečių pavyzdžių apie tai, kaip vertinimas pagerino mano darbą su mokiniais pa-mokoje. Pirmoji istorija susijusi su mano pirmaisiais mokytojavimo metais. Anuomet mano direk-torė buvo labai kruopšti, ji norėdavo peržiūrėti mano pamokų planus, o jie nebuvo pavyzdiniai – neatitiko jos standartų. Direktorė reikalavo, kad mokytojo planas būtų toks išsamus ir smulkme-niškas, kad bet kas bet kuriuo momentu būtų galėjęs perimti ir tęsti mokymo procesą. Mano pla-nuose buvo tik pagrindinės tezės, pagrindinė idėja, pora veiklų ir kažkiek medžiagos. O jai reikė-davo kažko žymiai išsamesnio. Teisybę pasakius, jaučiausi taip, tarsi gavusi smūgį į pilvą. Aš tikrai žinojau, kad prie mano pamokų planų reikėtų daugiau padirbėti, bet atrodė, kad man jie veikė, mokiniams pamokos patiko, mokinių testų rezultatai buvo geri. Atrodė, kad direktorė buvo pernelyg kritiška mano pamokų planų atžvilgiu. Niekada nepamiršiu jos komentaro, aš vis dar jį prisimenu. Turiu pripažinti, jog faktas, kad ji, vertindama mano darbą, „iškėlė kartelę“ labai aukš-tai, iš tikrųjų padėjo man patobulinti savo pamokų planavimo įgūdžius. Nors dirbau mokytoja 13–14 metų, iki pat paskutiniųjų metų mano pamokų planavimas išliko išsamus. Ne visada paisau sa-vo plano nuo A iki Z, tačiau aš visada žinojau, na, aš tiesiog tiksliai ŽINAU savo pamokos tikslą, taip pat aš tiksliai žinau, kokią medžiagą naudosiu ir kaip valdysiu laiką. Direktorės įžvalgos iš tikrųjų pagerino mokymo kokybę. Dar du pavyzdžiai. Niujorke dirbau su suaugusiaisiais, o mano darbą stebėjo vadovė. Rėmiausi jau įgyta patirtimi, todėl mano pamokos buvo labai gerai apmąstytos ir puikiai pavykdavo, mano nurodymai būdavo preciziški. Mano vadovė šitai pastebėjo ir pakomentavo, ji pasakė: „Tai, ką darai, – puiku, bet kokia tavo tema?“ Aš buvau pasirinkusi temą – esamojo tęstinio laiko naudo-jimas, ir šiai temai suplanavau visas tas pamokas. Internete radau veiklų, skatinančių tobulinti bū-tent šį įgūdį, bet... buvau beprarandanti savo mokinius. Tai buvo neprivalomas kursas, ir mokinių vis mažėjo, nes jiems buvo neįdomu nuolat tobulinti šį įgūdį. Neturėjau temos. Jei būčiau pasirin-kusi temą, būčiau galėjusi pasirinkti autentiškos medžiagos, pavyzdžiui, pasisakymų (kalbų), mu-zikos, vaizdo įrašų ir pan. Dabar, planuodama pamokas, renkuosi temą, ir ji pakeičia viską. Medžiagos paieška tampa žymiai įdomesnė. Ir mokiniams žymiai įdomiau turėti reikalų su platesne tema, užuot iki begalybės glu-dinus gramatikos taisykles. Aš prisimenu šitai. Tokios mano specifinės patirtys, pakeitusios mano mokymo praktiką. Papasakosiu dar apie vieną. Mano paskutinio vadovo man suteiktas grįžtamasis ryšys padėjo man pagerinti klasės valdymą. JAV norima, kad klasėje tuo pat metu vyktų 4–5 veiklos. Tikrai daug. Visos šios veiklos turi būti prasmingos ir diferencijuotos pagal mokinių lygį. Daugelis mokinių dirba savarankiškai, o mokytojas dirba prie stalo su nedidele grupele. Taip šiandien atrodo didžio-ji dalis JAV mokytojų dienos. Galite įsivaizduoti, kad tam reikia būti įvaldžius tikslią vadybos sistemą, norint užtikrinti, kad visa medžiaga mokiniams būtų prieinama, lūkesčiai jiems žinomi, kad kiekvienas mokinys turėtų planą, kad jie dirbtų savarankiškai su reikiama užduotimi. Galite įsivaizduoti, kiek reikia išradingumo tuo pat metu, kai dirbi su mokinių grupe, ir dar valdyti klasę. Direktorius, stebėjęs pamokas, iš esmės liko patenkintas mano darbu. Tačiau jis pastebėjo, kad kelis dalykus aš būčiau galėjusi atlikti geriau: padaryti mokomąją medžiagą lengviau pasiekiamą mokiniams arba tuo metu, kai dirbau su maža grupele mokinių, likusios klasės valdymas galėjo būti veiksmingesnis. Norėdama, kad ši ugdymo schema veiktų sklandžiai, dar turėjau perprasti nemažai dalykų, taigi, jis mane nukreipė semtis patirties iš kitų mokytojų. Jie pademonstravo pui-kių pavyzdžių, davė man knygų, pateikė nuorodų, kad galėčiau susirasti vaizdo įrašų klasės val-dymo įgūdžiams patobulinti, ir šitai visiškai pasiteisino. Reikalai visiškai pasikeitė. Pajutau, jei sugebėsiu sėkmingai mokytojauti šioje aplinkoje, tai galėsiu mokyti bet ko ir bet kur. Lietuvos mokytojai pagrįstai nerimauja dėl veiklos vertinimo. Negalėčiau pasakyti, kad mokytojai apskritai neturėtų nerimauti. Vertinimo procesas nėra malonus. Ir visada, kai vyksta kažkas, kas mums kelia nepatogumų, kyla natūralus noras priešintis, bet, manau, jei mokytojai tikrai nori tobu-lėti… Jei prisiminsite savo praeitį, juk bet kuri patirtis, ar tai būtų mokymasis groti muzikos inst-rumentu, ar perėjimas į aukštesnę klasę, ar stojimas į universitetą, bet kas, dėl ko privalėjote pasis-tengti, buvo verta tų pastangų. Jei norite būti puikiu mokytoju, jei norite būti užtikrintas, kad pri-sidedate prie savo visuomenės ir bendruomenės, turite padirbėti. Šis procesas kai kada bus nepa-togus, bet kuriuo atveju – vertingas. Manau, šis laikmetis Lietuvos švietimui – ypatingas, nes per keletą ateinančių metų gali įvykti daugybė pokyčių. Tai – procesas, ir kiekvienas turėtų dalyvauti su mintimi, kad tai pasiekiama. Kaip sakėte mūsų pokalbio pradžioje, visada yra erdvės tobulėti, ir, kol tobulini vieną aspektą, tikriausiai pasimiršta kitas. Taigi, grįžtamasis ryšys ir vertinimas padeda tapti vis geresniu ir geres-niu profesionalu. Esu įsitikinusi, kad tie, kas stebi mūsų pokalbį, apmąstys Jūsų išsakytas mintis ir pateiktus pavyzdžius; ir mes tikrai tęsime pokalbius ir konsultacijas dėl mokytojų veiklos vertini-mo. Esu tikra, kad kai kuriose diskusijose pasinaudosime Jūsų pavyzdžiais. Ačiū, kad pasidalijote savo patirtimi ir mintimis.